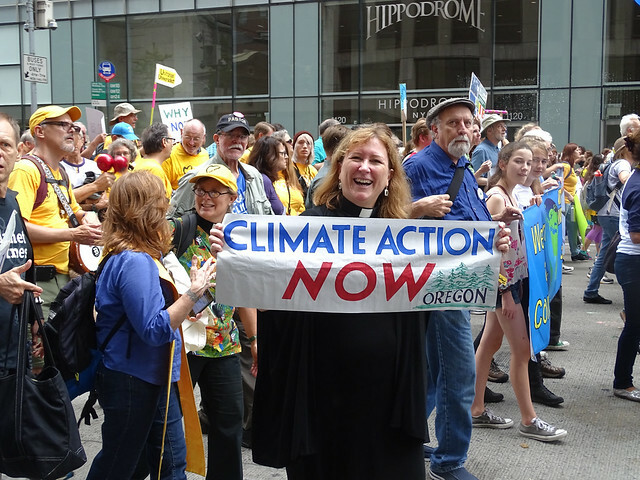 by Peter Bowden.In Climate Change. 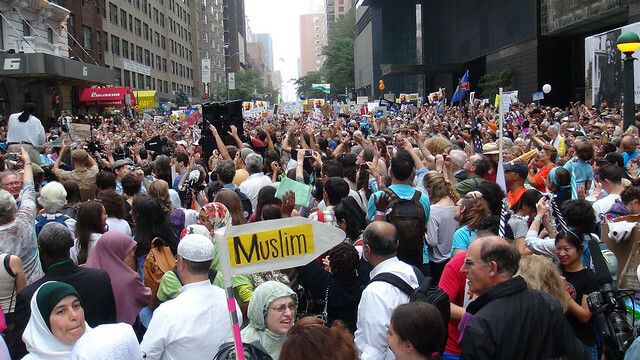 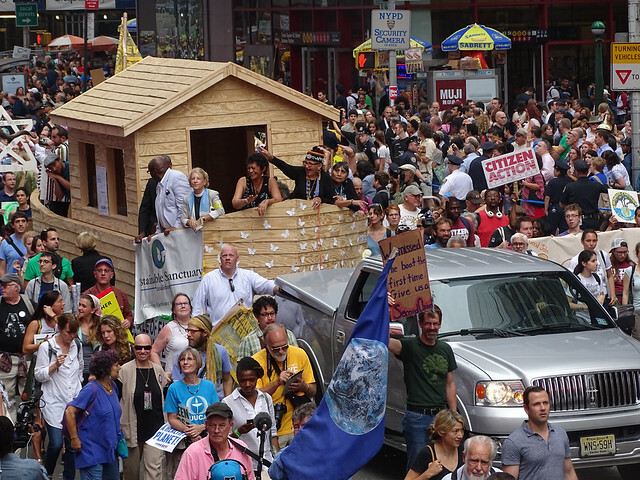 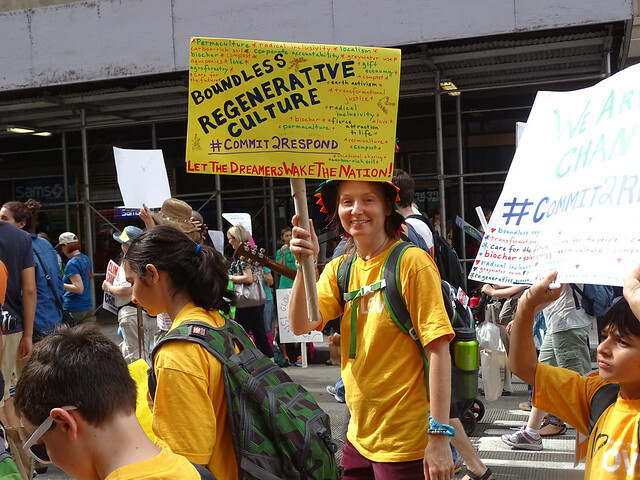 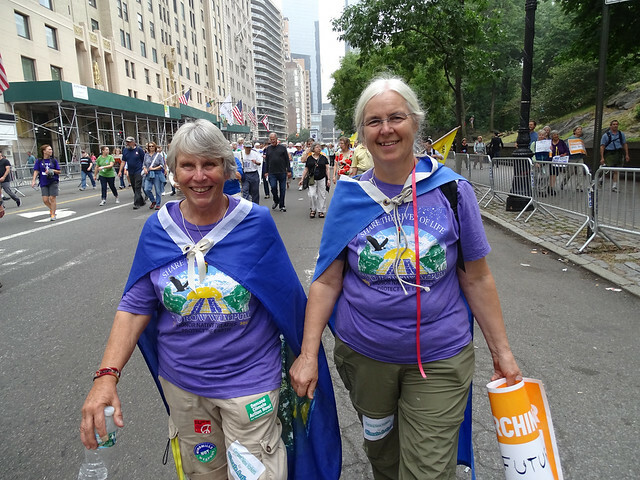 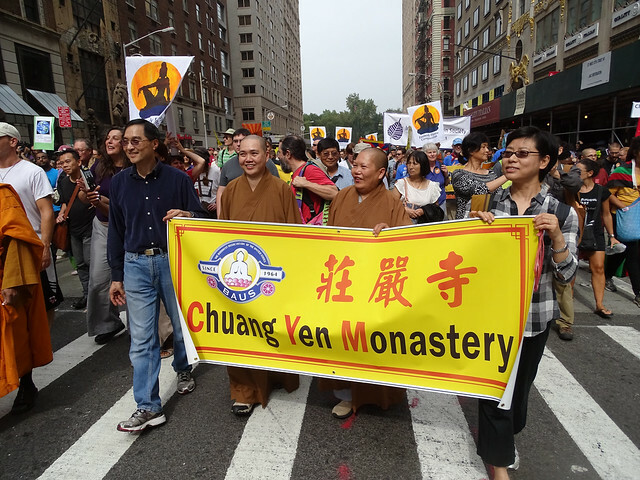 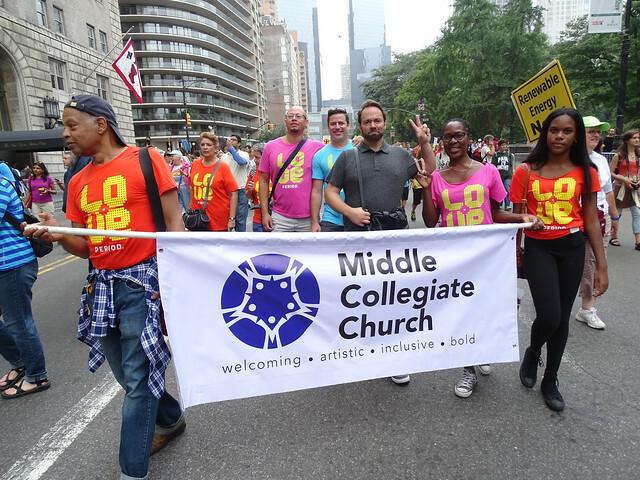 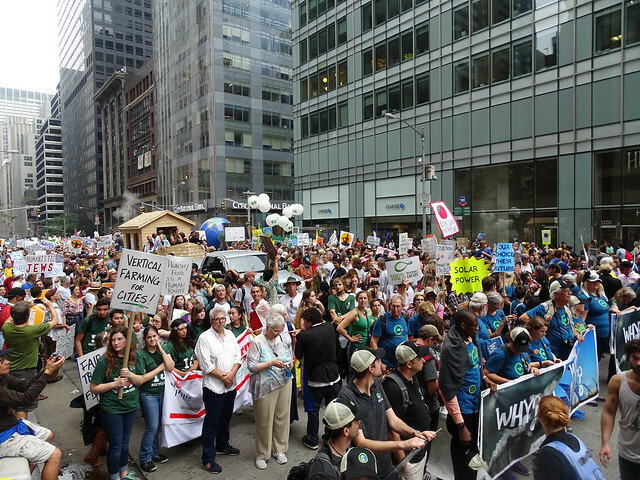 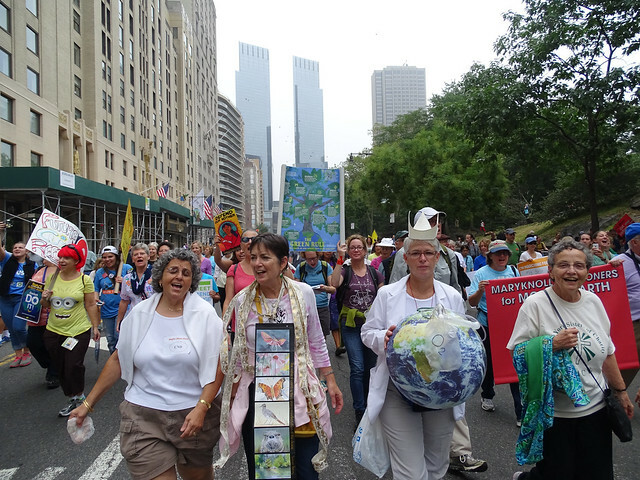 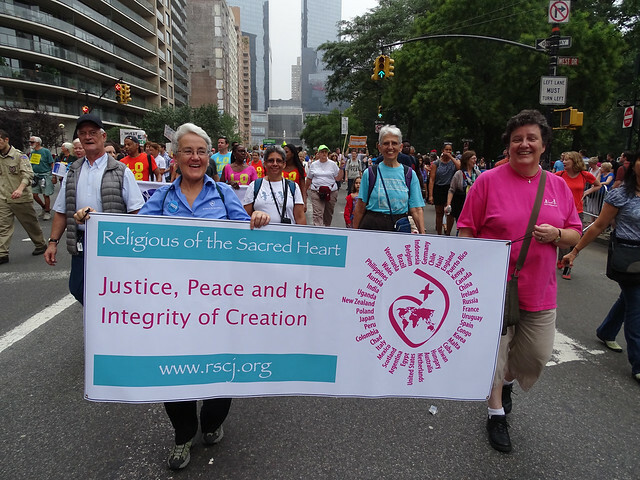 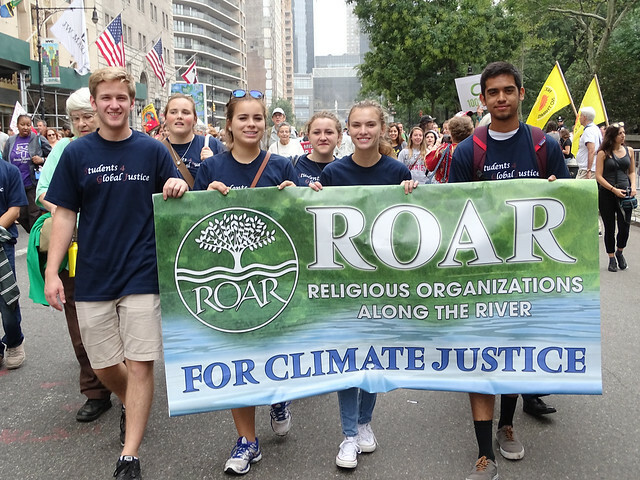 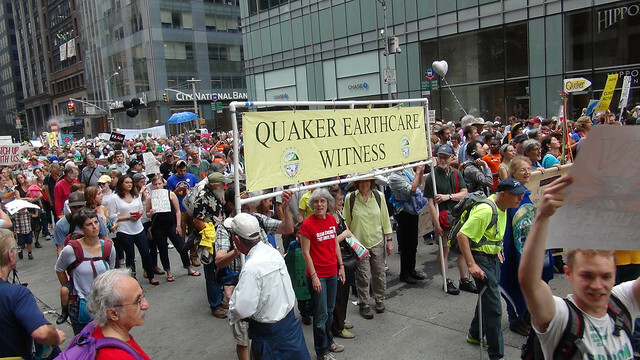 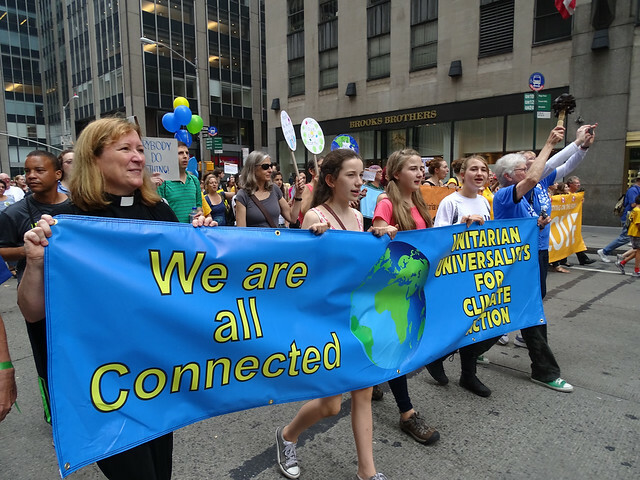 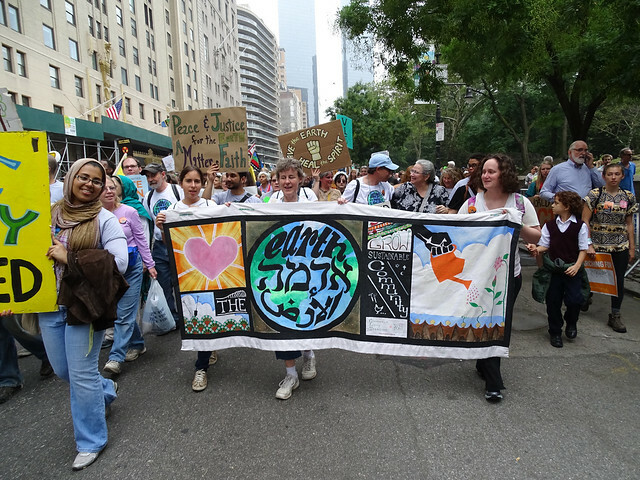 New York – Among the 310,000 participating in the People’s Climate March on September 21, 2014 was a huge faith contingent. 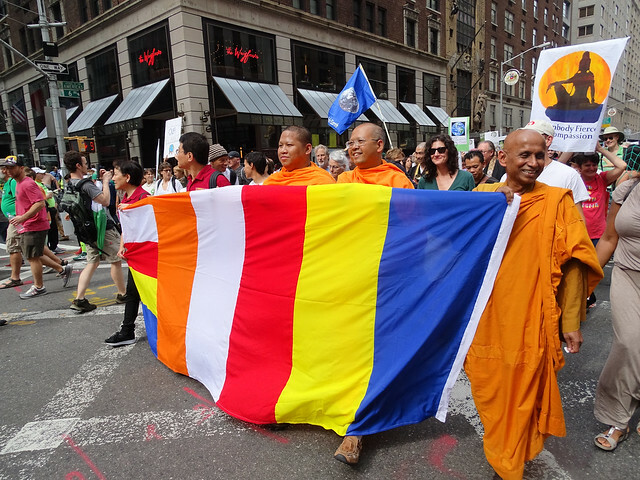 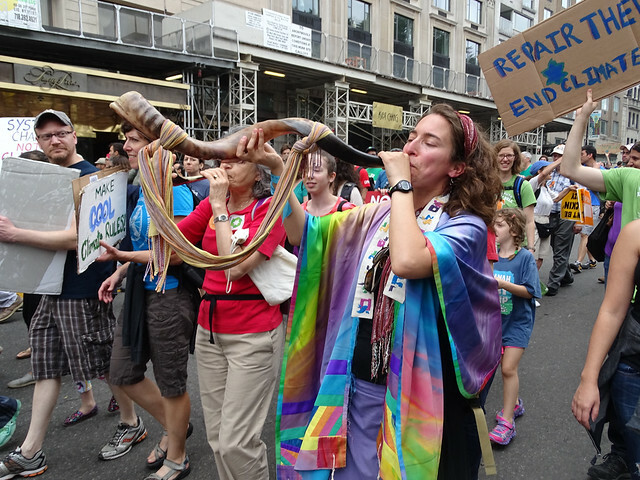 Thousands of people from diverse faith traditions marched to bring attention to global warming as a moral issue and to issue a call for climate justice. 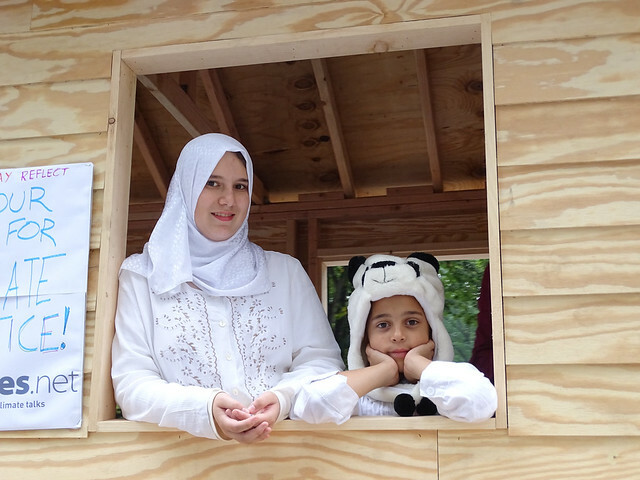 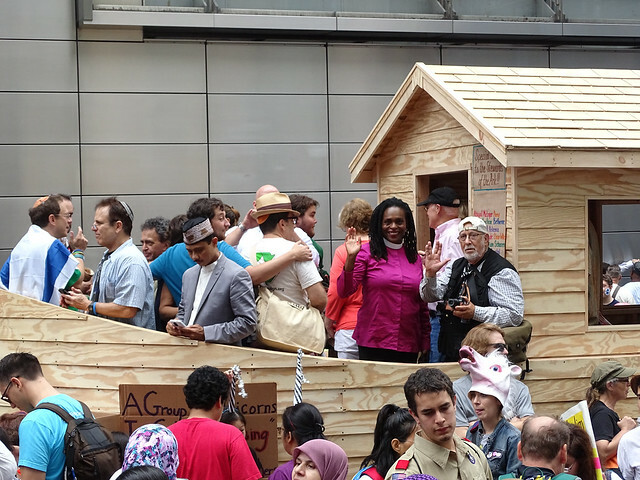 Positioned near the end of the line-up and after waiting in a staging area for hours to march, the People’s Climate Faith Contingent was led forward by a wooden Ark carrying interfaith leaders. 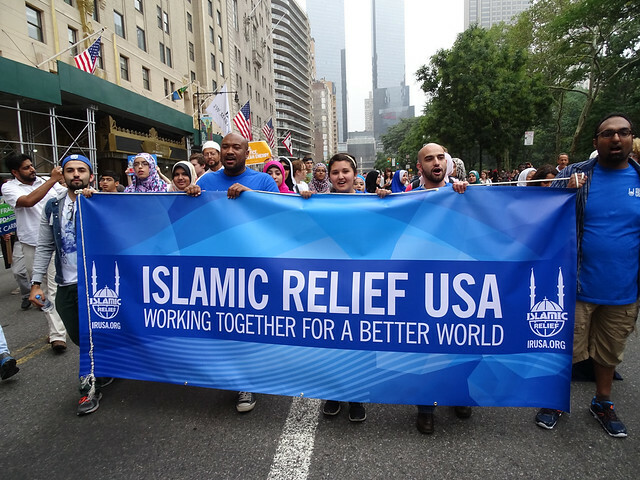 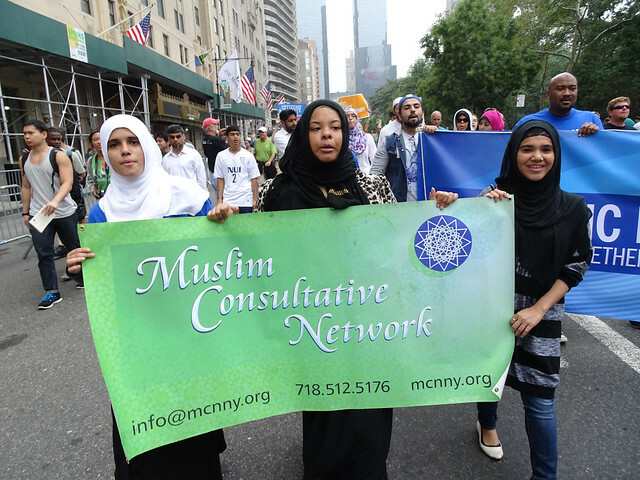 Below is a video of our section of the march, followed by photos of some of the faith groups participating. 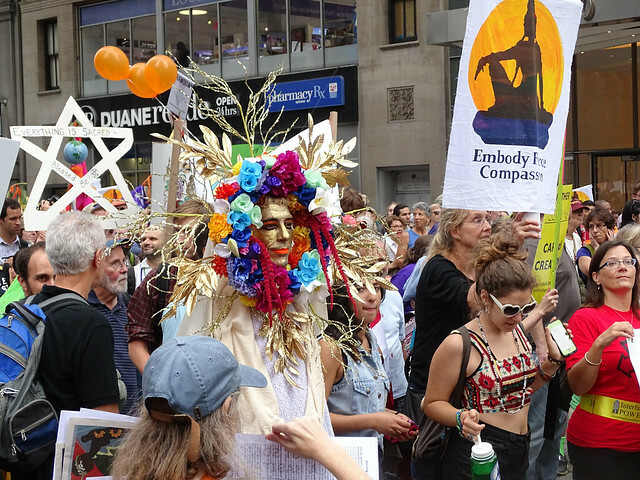 It was amazing to march with Christians, Quakers, Humanists, Jews, Muslims, Buddhists, Pagans, my fellow Unitarian Universalists, and others in solidarity. 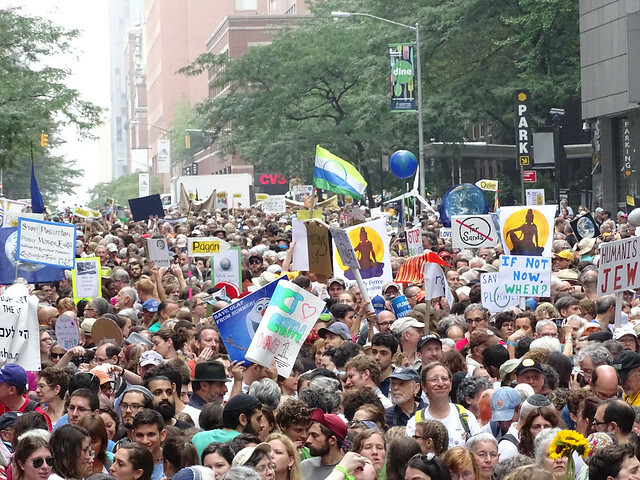 But now the real challenge begins. 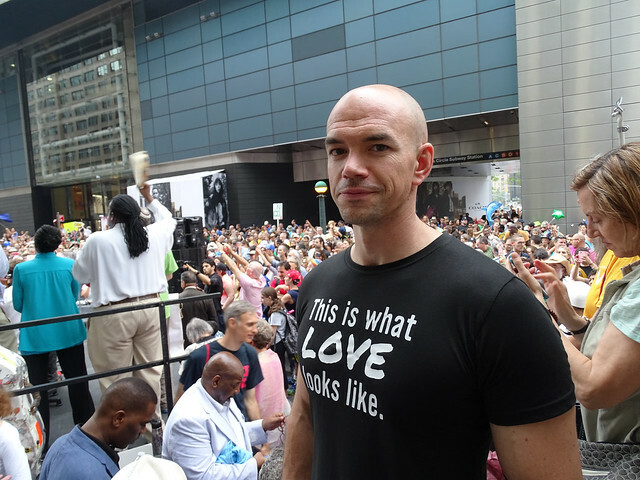 350.org founder, Bill McKibben, has repeatedly said in talks I’ve attended that the climate movement has no Martin Luther King Jr. 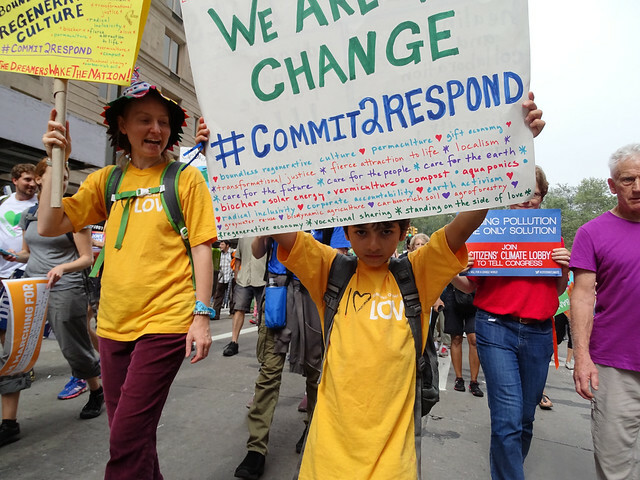 I think McKibben and the rest of us – the people – are longing for moral leadership, for people who can challenge both the media and our political leaders to see the justice issues raised by our climate crisis, and bring hope to the movement. 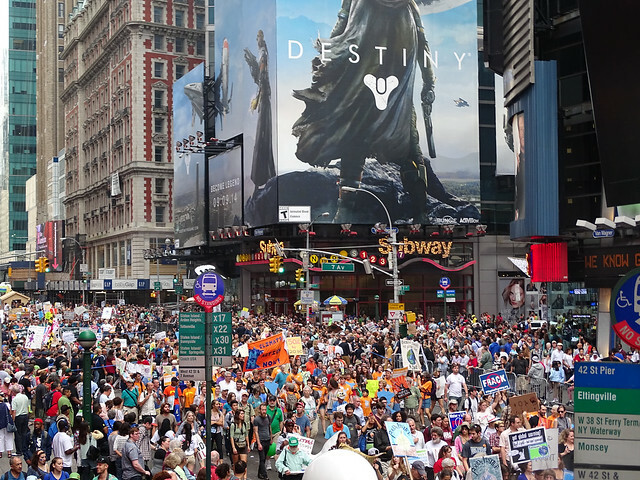 Friends, we have to keep this going. 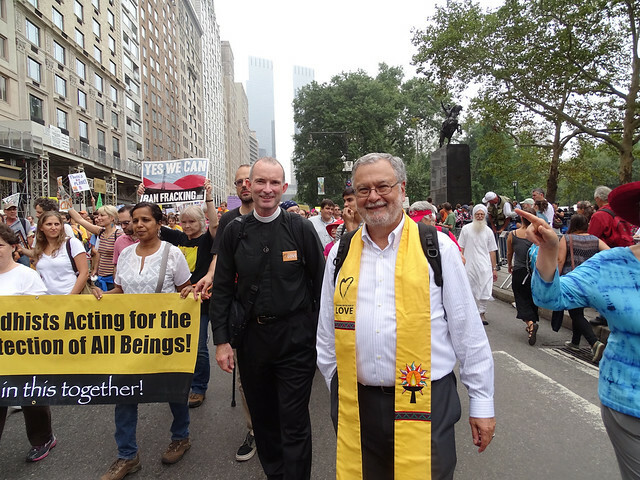 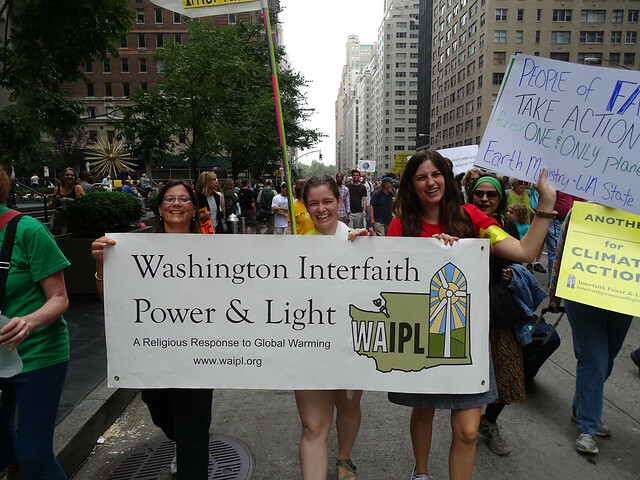 It is my hope that the solidarity and collaboration demonstrated at the People’s Climate March will raise the bar for interfaith collaboration, and help us take our witness and climate justice work to the next level. 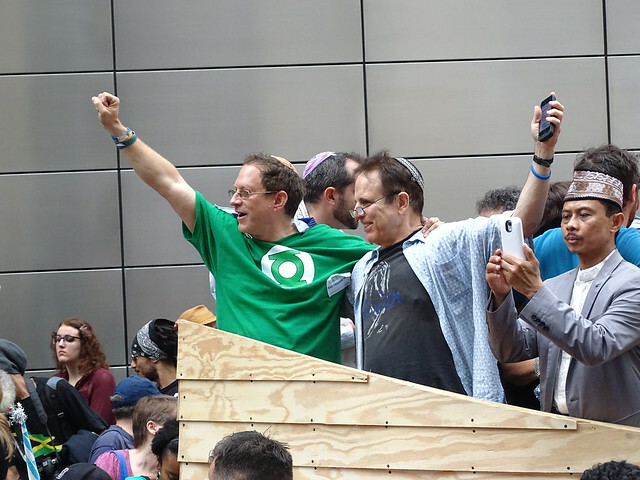 Media: Looking for photos? 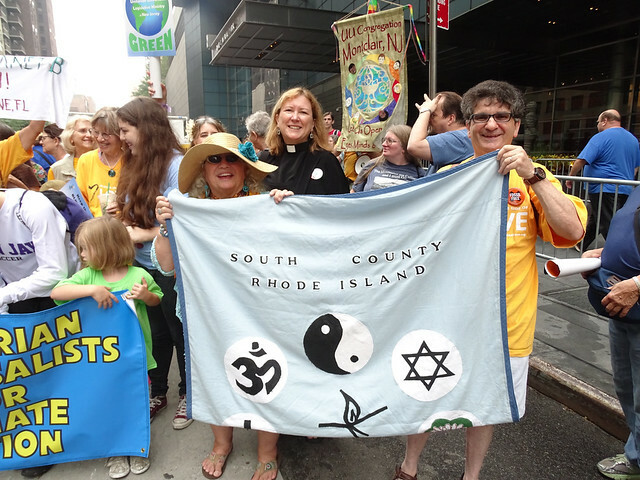 Here is my full set documenting the Faith Contingent, free for media use with photo credit. 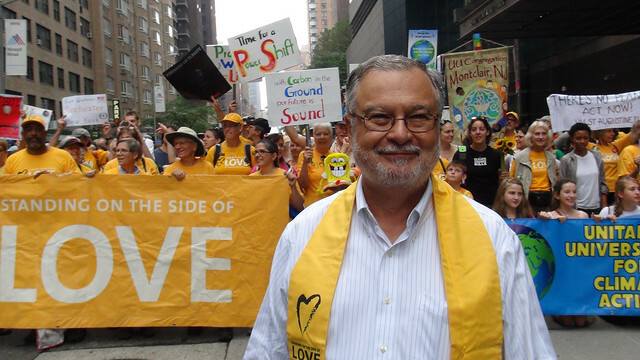 Next Next post: Peter’s video on “Welcoming Newcomers” with song by Joe Uveges!